Fearne’s got florals like you’ve never seen! 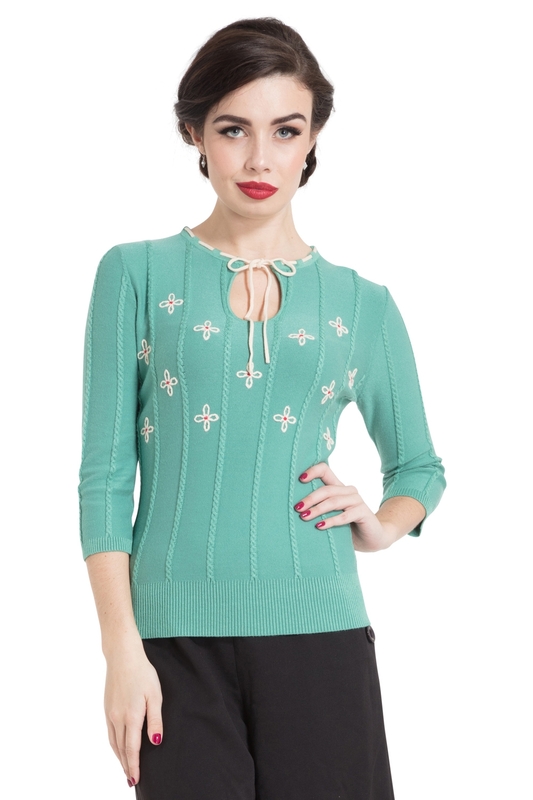 Our most adorable VV cardigan yet features delicate flower details on a classic sweater, pulled together with a contrast neck tie to create a beautifully vintage, outfit making piece. Love the look? Check out the same adorable style in Cream, Black and Plum!